Skateboarding was probably born sometime in the late 1940s or early 1950s when surfers in California wanted something to surf when the waves were flat. These first skateboarders started with wooden boxes or boards with roller skate wheels attached to the bottom. These first skateboarders started with wooden boxes or boards with roller skate wheels slapped on the bottom. The boxes turned into planks, and eventually companies were producing decks of pressed layers of wood -- similar to the skateboard decks of today. During this time, skateboarding was seen as something to do for fun after surfing. The early 1960s bring the introduction of the first manufactured skateboards. 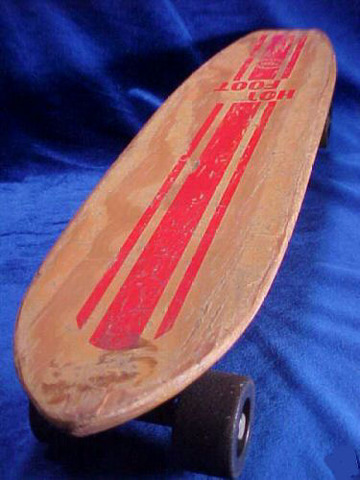 The following are some of the popular mainstream skateboard designs from the 1960s: Scooter Skate (three-wheeler), Roller Derby, Skee Skate, Sokol SurfSkate, Nash Sidewalk Surfer, Sincor, and Super Surfer. Gren Tec, Hang Ten, and California Free Former join the mass-production skateboard market in the 1970s. In 1963, skateboarding was at a peak of popularity, and companies like Jack's, Hobie and Makaha started holding skateboarding competitions. At this time, skateboarding was mostly either downhill slalom or freestyle. In the early 1970s, Frank Nasworthy started to develop a skateboard wheel made of polyurethane, calling his company Cadillac Wheels. 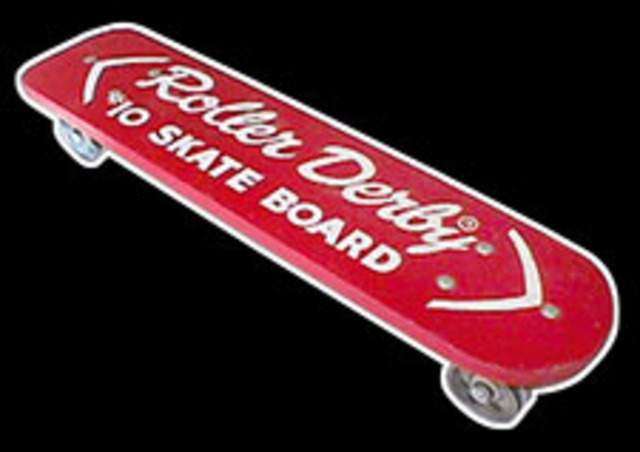 Prior to this new material, skateboards wheels were metal or "clay" wheels. The improvement in traction and performance was so immense that from the wheel's release in 1972 the popularity of skateboarding started to rise rapidly again, causing companies to invest more in product development. In 1978,a skater named Alan Gelfand (nicknamed "Ollie") invented a maneuver that gave skateboarding another revolutionary jump. He would slam his back foot down on the tail of his board and jump, thereby popping himself and the board into the air. The ollie was born, a trick that completely revolutionized skateboarding -- most tricks today are based in performing an ollie. 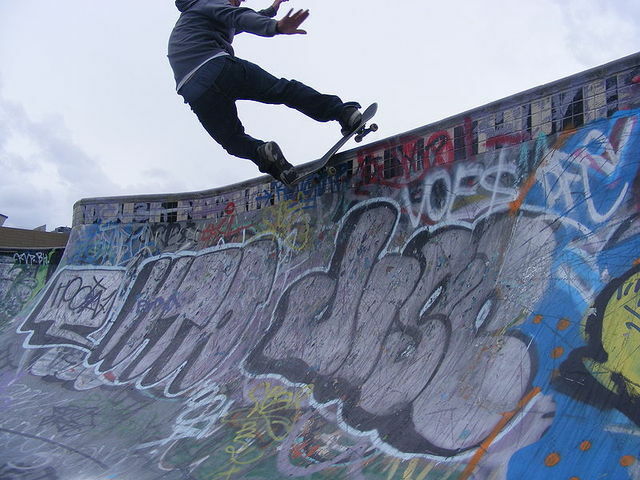 Freestyle skating remained healthy throughout this period with pioneers such as Rodney Mullen inventing many of the basic tricks of modern street skating such as the Impossible and the kickflip. 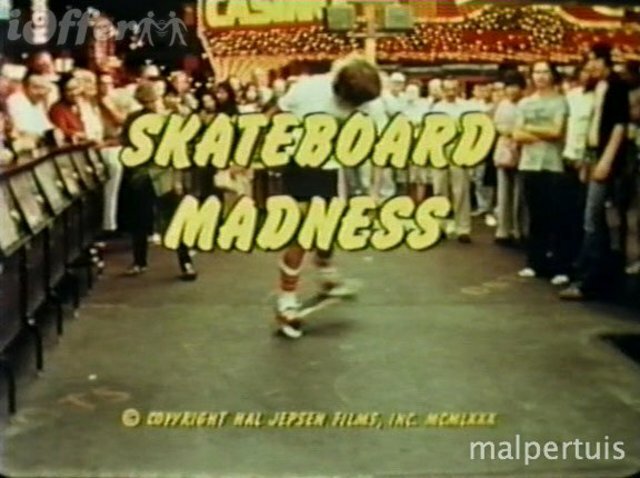 The influence freestyle had on street skating became apparent during the mid-eighties, but street skating was still performed on wide vert boards with short noses, slide rails, and large soft wheels.There are many, many more. 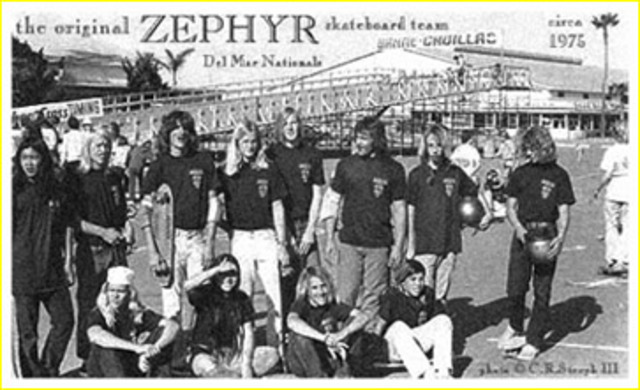 Skateboarding began influencing clothing styles, music and culture. 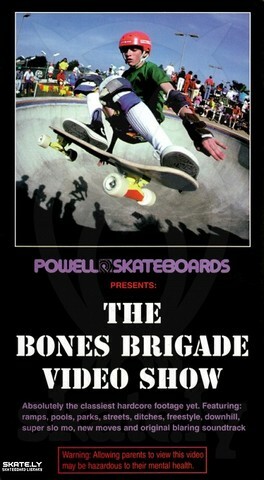 Stacey had a talent for filming, and in 1984 shot the first of a long series of revolutionary skateboard videos - The Bones Brigade Video Show. The current generation of skateboards is dominated by street skateboarding. 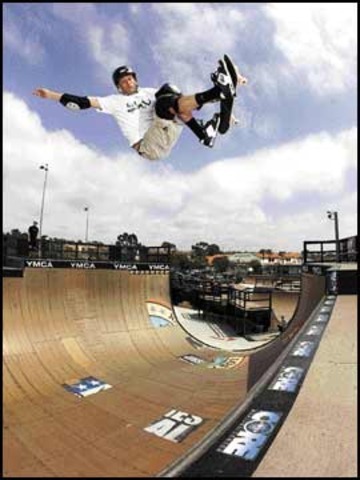 In 1999, Tony Hawk became the first skater to land a 900.The 900 is a 2.5-revolution (900 degrees) aerial spin performed on a skateboard ramp. It is considered one of skateboarding's most technically demanding tricks. The name for the holiday possibly originated from the "No Skateboarding" signs which often has been changed to "Go Skateboarding." by local skaters. 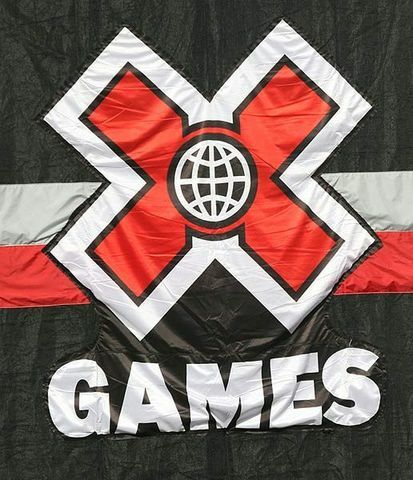 The holiday was conceived by the International Association of Skateboard Companies (IASC) to help make skateboarding more accessible to the world through various events held in major cities around the world.